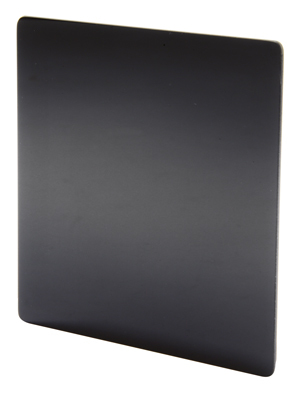 Square with rounded edges, the Lee Filters 10-stop Big Stopper is designed to fit into Lee’s 100mm adaptable filter holder, giving it more of a ‘one-size-fits-all’ quality than circular filters. We were surprised by the results from the Big Stopper. Although there was an even split as to whether the filters warmed or cooled the image’s colour temperature, the cool cast was strong with a vivid blue hue to the end result. There was, however, little additional vignetting. So long as you bear in mind that the colour cast may not behave quite as you expect it to, this is a well-made filter. B+W is well regarded for its filters, and we put the ND110 through its paces. 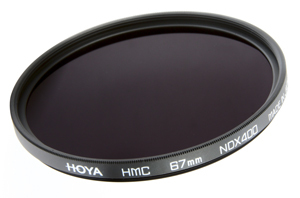 Available in sizes from 52-77mm, the ND110 is a durable and well-built circular 10-stop filter. With the B+W ND110, we did observe significant colour cast, with the filtered image looking much warmer than the non-filtered control shot. The increase in vignetting was also somewhat pronounced – not as much as with some of the other filters, but enough to affect the image. 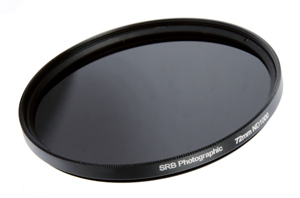 SRB’s ND1000 10-stop filter is undoubtedly the choice for the budget-conscious photographer. It is available in 46-77mm sizes, and not even the largest will set you back more than £30. Given its low price compared to the other filters on test, you might expect the SRB ND1000 to have fallen short, but we were generally happy with its performance. While there was colour alteration present, producing an image that was markedly warmer than the control shot, it was not significantly worse than the other filters on test. There was also relatively little vignetting compared to the control shot. If money is a real factor in choosing your equipment, this is definitely an option worth pursuing. Providing an additional 9 stops of exposure, the Hoya NDX400 is slightly less powerful than the other filters on test here. 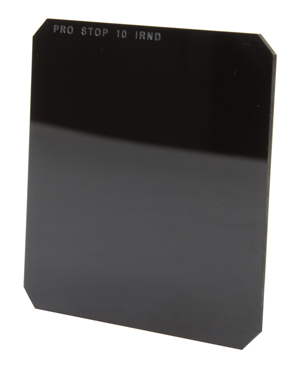 Available in a wide range of sizes from 49mm to 82mm, this filter is part of the HMC (Hoya Multi Coated) range, which features a three-layer coating system designed to minimise reflection and thus reduce flare and ghosting. Hoya also claims that this will help colour neutrality. This seems to be the case, as the NDX400 produced an image that was a little cooler in colour temperature than the control, but overall was pleasingly neutral with little vignetting. For those who don’t think their photography will quite require the full 10 stops, the NDX400 will suit admirably. Of all the filters on test here, Formatt Hi Tech’s square Pro Stop 10 suffered from the most noticeable increase in vignetting from the control image. This is, of course, a relative statement – the increase was still very marginal and is unlikely to have a real adverse effect on a shot, but it is worth noting. Formatt claims that rigorous spectrographic testing has been used to improve the colour neutrality of the Pro Stop, and this extra work seems to have paid off, with some cooling of the image but a generally mild result. The Pro Stop is fitted with a foam gasket perimeter designed to create a seal between the filter holder (available separately) and the lens, reducing light leakage around the edges. It’s a nice feature, and helps the Pro Stop hold up against the competition. 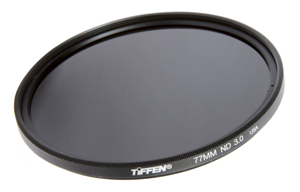 This 10-stop filter comes hot off the manufacturing line from Tiffen, having been released at the end of May. Tiffen has an excellent reputation when it comes to filter technology, having won multiple awards for its technical achievements. Appropriately enough, the ND 3.0 is very good indeed. There was a little warming of the image compared to the control, but the end result was pleasingly neutral. There was also barely any increase in vignetting from the control image that we observed. 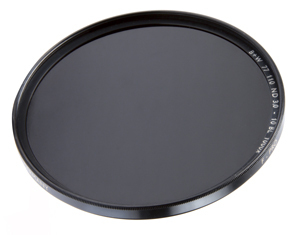 This is the most well-balanced of the products on test, and if you’re looking for a circular filter you won’t go far wrong. Definitely recommended.